This racing car cake is another one of my show cakes. It's a caramel mud cake. 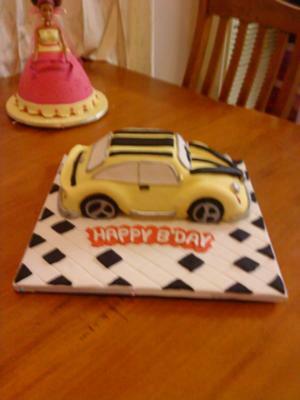 I sculpted the car my self and covered the board in fondant. The wheels are made from black fondant icing. Any questions, please ask.